Once you break through the fruity Madagascan 71 dark chocolate exterior you will be greeted with a surge of molten caramel mixed with fine flecks of welsh sea salt. 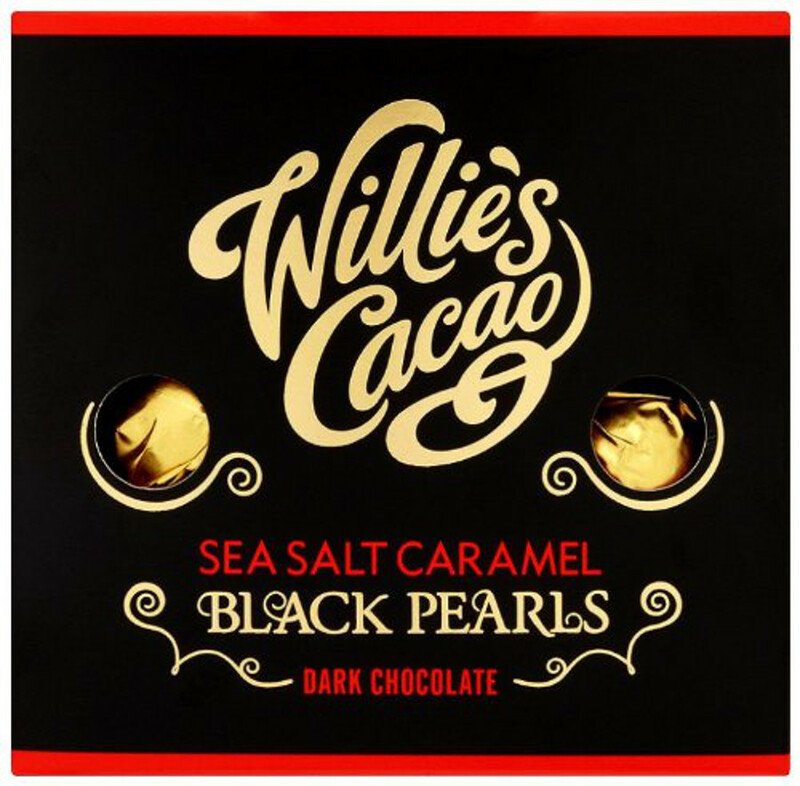 All of the Willie’s Cacao range is crafted in Devon England using traditional machinery. Presented in lovely packaging perfect for a gift or stocking filler. Raw cane sugar, Double cream from cows' milk, Cocoa mass, Glucose from wheat, Butter (milk), Cocoa butter, Sea salt 0.9%. Dark chocolate contains 71% minimum cocoa solids. There are currently no questions to display about Willies Cacao Black Pearls - Sea Salt Caramel Dark Chocolates - 150g.